New Technology set to Overhaul the Agriculture Industry? 18 May New Technology set to Overhaul the Agriculture Industry? Over the years, we have seen technology change numerous industries by making jobs easier and more efficient. According to a start-up named ‘FluroSat’, farmers could be in for an exciting future, as they believe to have a solution that will improve crop yields. Not only this, they believe they can save millions of revenue dollars for the whole industry. Originally from Ukraine, Anastasia Volkova is the CEO of FluroSat and she is a qualified aeronautical engineer. Why did she start a business in agriculture? According to Volkova, she missed her mother’s tomatoes back home and this appreciation of high-quality produce started her passion for making farmers more efficient and sustainable. With her love of vegetables, she wants to improve the quality of produce making its way onto dinner tables every single night. Essentially, FluroSat is developing a set of multi- and hyper-spectral cameras that can be mounted onto satellites and drones. 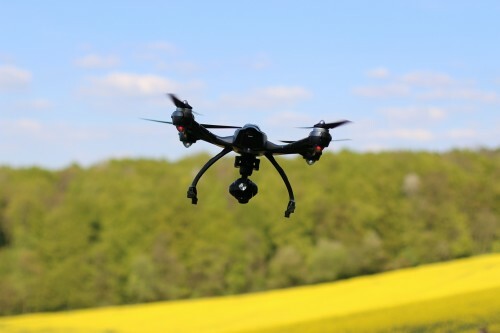 Once here, this technology can be flown over fields to identify any health issues from above; for example, any crops that are deficient of nutrients or water. Furthermore, a disease might need to be extinguished before it gets a chance to take hold. Rather than relying on a farmer to walk the fields and assess the crops, this device is much faster and more reliable at finding problems. Currently, the company is working with farmers and agronomists who make daily decisions regarding the management of crops. Using the drones, important data can be processed before then suggesting actions to remove any issues. In an advanced stage, field trials will begin shortly in Moree, Narrabri, Gunnedah, and Tamworth. According to experts, this technology could save hundreds of millions of dollars in the years ahead because yields will be higher. Additionally, water, pesticides, and fertilisers will be used more efficiently, which is something that has been a problem in recent years. Recently, FluroSat paid a visit to Narrabri to demonstrate the technology with the Australian Cotton Research Institute; this is where the technology will be tested most extensively. Moving forward, Volkova and the rest of the team have highly ambitious plans. If all goes well in the next six months, they want to bring the product to market and then we could see one of the largest changes in the industry that we would have seen in a long time. With news like this, it shows just what potential there is for all industries in Australia currently. If the product has a successful testing season, farms all over the country will be able to pick up on issues early and have them fixed rather than losing a percentage to disease, malnutrition, or lack of water. With the time that this will save for farmers, they will also have free time to spend elsewhere so this is huge news. As soon as we hear progress from FluroSat or any other source, we will keep you informed!